Whether it’s your first time at church or you’ve gone to church for years, our Sunday services are a welcoming place for you to enjoy worship and fellowship. 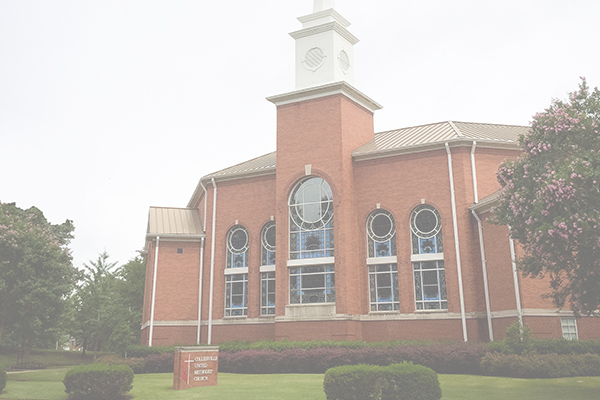 We are a vibrant church in the heart of Collierville, Tennessee. If it’s your first time at Collierville UMC, you are our honored guest. We want to ensure you have the best experience when visiting, so here are a few frequently asked questions to help you plan your visit. Whether you’re joining us at the Town Square or Poplar you will be greeted with a warm smile. Our hospitality and guest services team is here to help in any way we can. 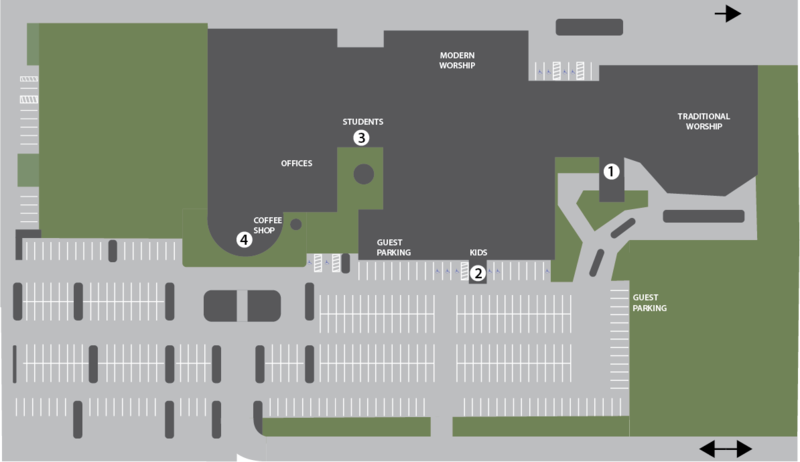 We have Information Desks located at entrance 1 and 4 at our Poplar Location. The sanctuary on the Town Square team will greet you at the main entrance. Services last about one hour. All of our services start with music and include memorable teachings. If you’re visiting for the first time, you’ll want to give yourself a few extra minutes to stop by a Welcome Area after the service or talk to one of our Guest Services team. You are a very important person to us and we would love to meet you and answer any questions you may have. We want kids to experience Jesus on their level and know your kids are our top priority. 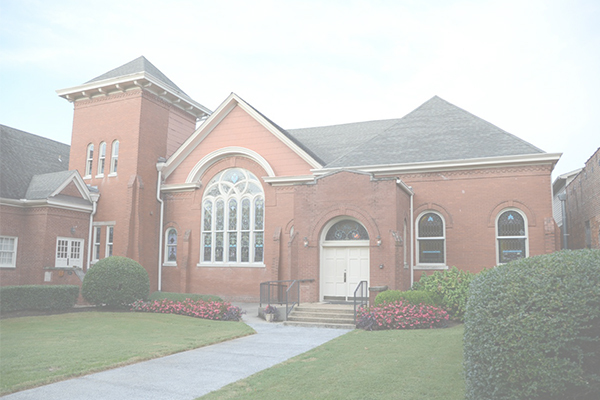 We offer a 9:30am Sunday School and Kids Church during the 10:45am worship for 3rd grade and younger. The nursery is available every Sunday at 8:15am. We want you to be comfortable while you’re here. Some wear suits and dresses. Some wear casual attire. Don’t feel like you have to dress up to experience church.